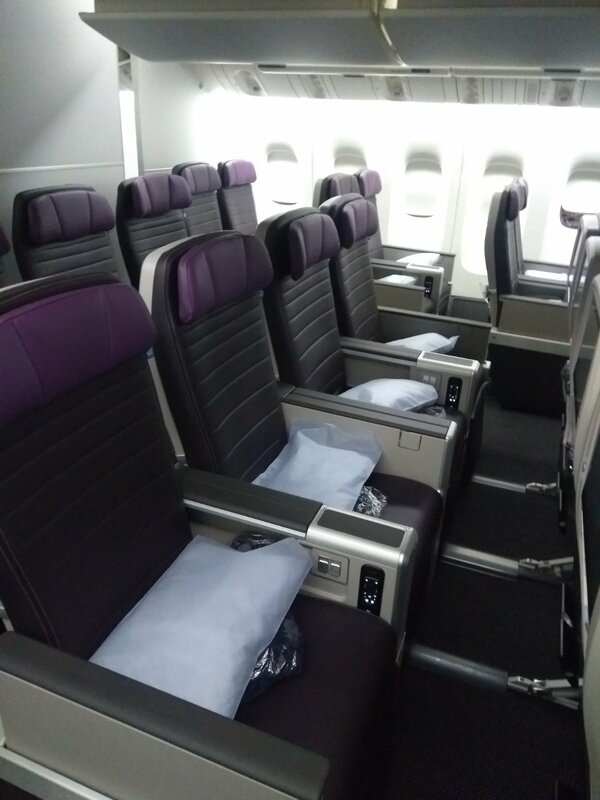 There are various threads discussing the PE seats and their free-trial experiences on refitted B772 aircraft (https://www.flyertalk.com/forum/unit...my-2018-a.html, in particular). 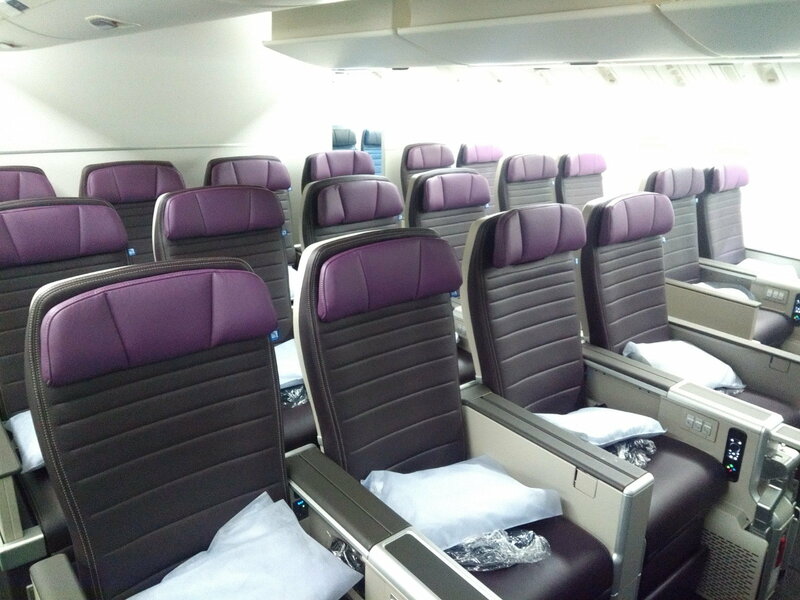 As more PE-equipments are available, United will sell these seats as a separate class of service soon. So, it is better to be prepared before you open your wallets for these seats. Are these going to be complimentary for Premier members? Only until UA starts selling them. Thanks for sharing! 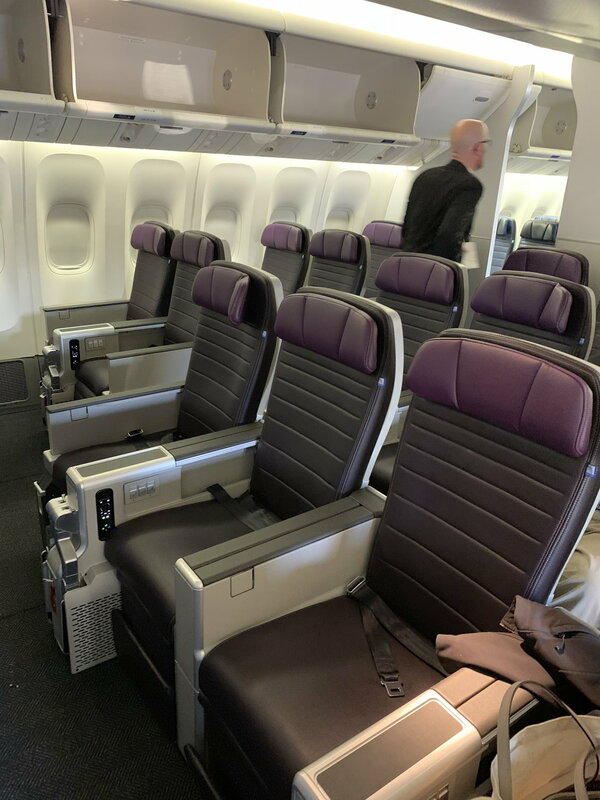 Do all of the seats have leg rests, or only the ones in the bulkhead row? One of my gripes about BR's PE is that the leg rests are only in the bulkhead row now. All have legrests. I can't fathom why some airlines omit them from a subset of PE. Odd that they put in a divider that renders on OH compartment unusable. That said, I'm looking forward to using the seats. If this turns out to be the new minimum 'purgatory' I have to book until my GPU clears, I'd feel a lot better if it fails. 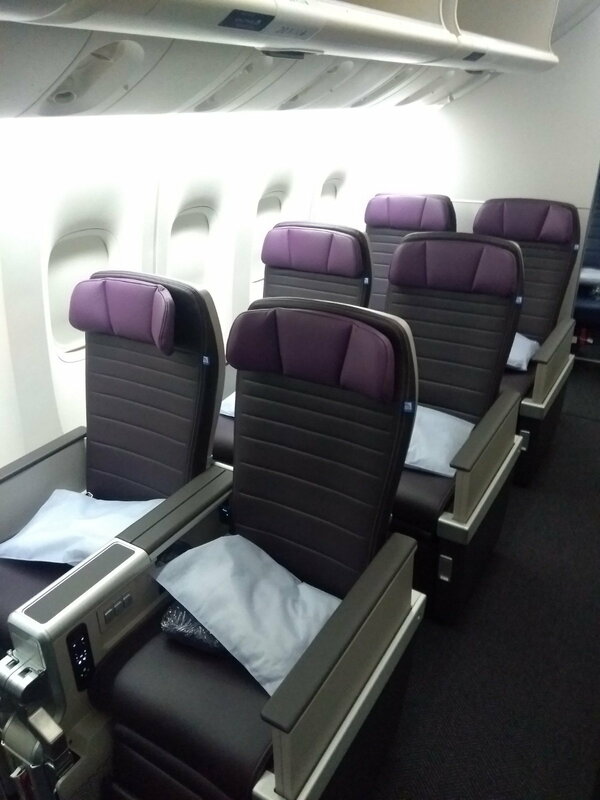 These look similar in comfort to the new domestic FC seats. For anyone that's flown both, how do they compare? Two immediate thoughts on this. First, why put a divider in at all? You lose the overhead bin, and you cut the leg room for the E+ seat immediately behind it. It's not at all uncommon to have a soft, or no, division between PE and E.
Second, who on earth chose such an ugly color scheme? Out of curiosity, where have you seen no divider between PE and E? In the planes I've flown, they've always had a divider. I prefer it, as it makes the cabin feel more separate, and that is quite nice given the premium you pay for it on some routes. 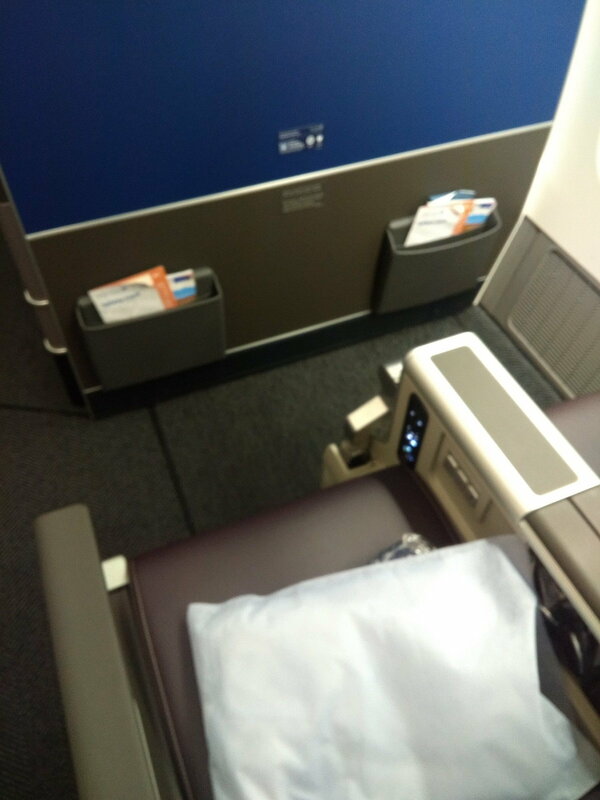 No issue with the divider on the floor or between cabins in general. But re: the overhead bin, you have to imagine that that's temporary until they can retrofit a smaller bin, right? RIGHT??? Agree with your second point, also. This hardly suggests "United" when it comes to the color scheme. It just seems so out of place. Everything old is new again... Let's just call it "Clipper class" and get this over with! 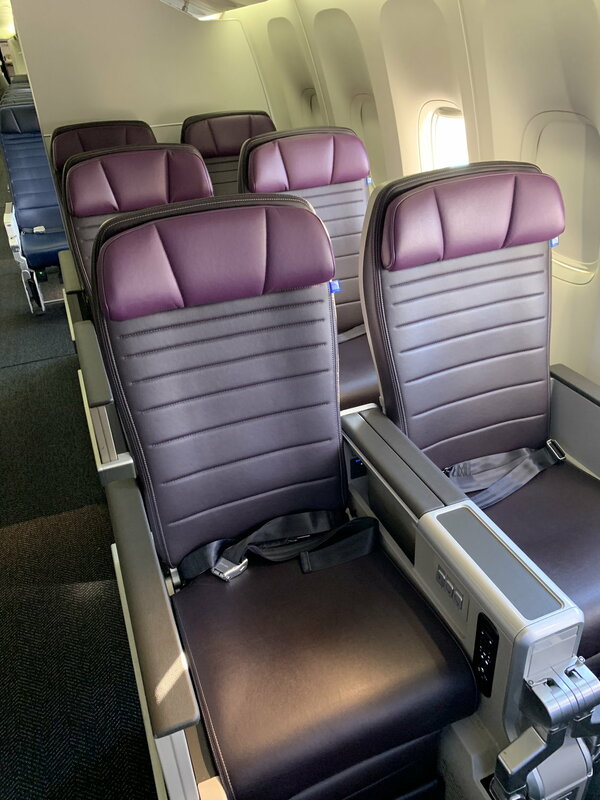 Now accepting bets on how long until the first airline introduces a new consolidated Business + PE cabin, to give all of our premium passengers the same, outstanding experience onboard! It really doesn't matter too much to me, but purple is a classic UA color. My early memories of United flights all featured gray, purple, and orange seats. So, I am not sure if pics have been posted elsewhere but these are mine from a week or so back. The bulkhead seats were 20K/L. I'm glad more airlines are doing actual areas for this. Never fly premium with Delta. I did one time thinking it'd be nice. Hell no. Me and my daughter were just in normal seats with more leg room. We didn't even get any of the perks that are supposed to come with premium. It was a waste of money. 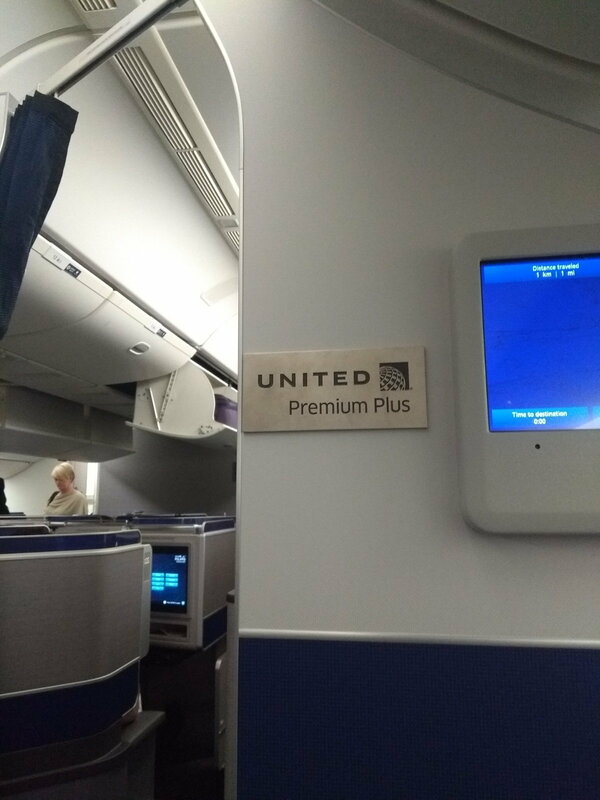 Make sure with any airline including United that you are 100% sure you're going to get premium seating and not just normal seats with more leg room.